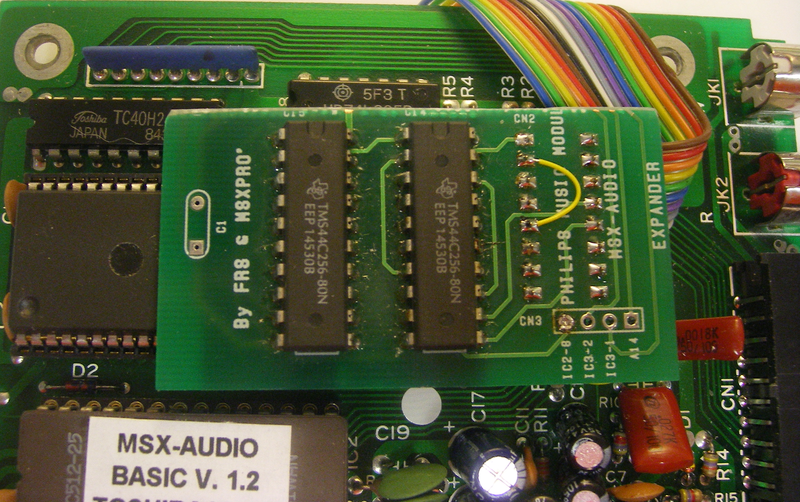 Some users have asked us how to modify the Philips Music Module expander to support the new MSX Audio Rom 1.3 made by Brazilian MSX user FRS. 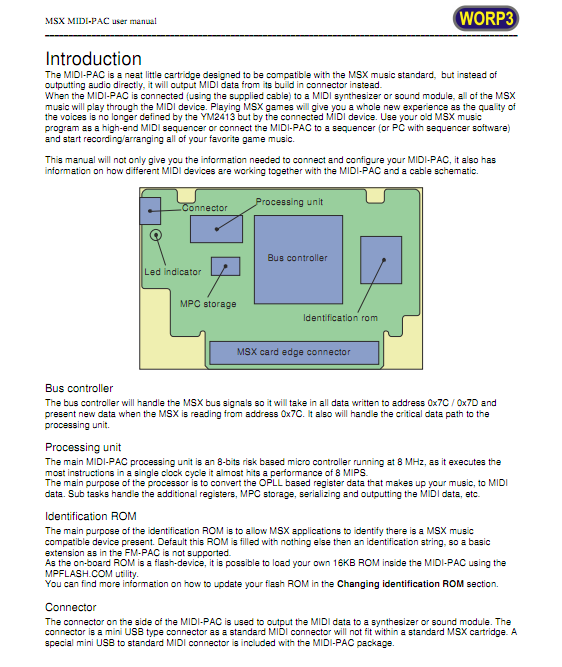 This new bios has quite some new features like better MSX-Music instrument support and support for games that make use of the MSX-Music (FM-PAC) bios. A lot of ASCII MSX-Music now work! Please follow the FRS page link later on in this article for the release notes. 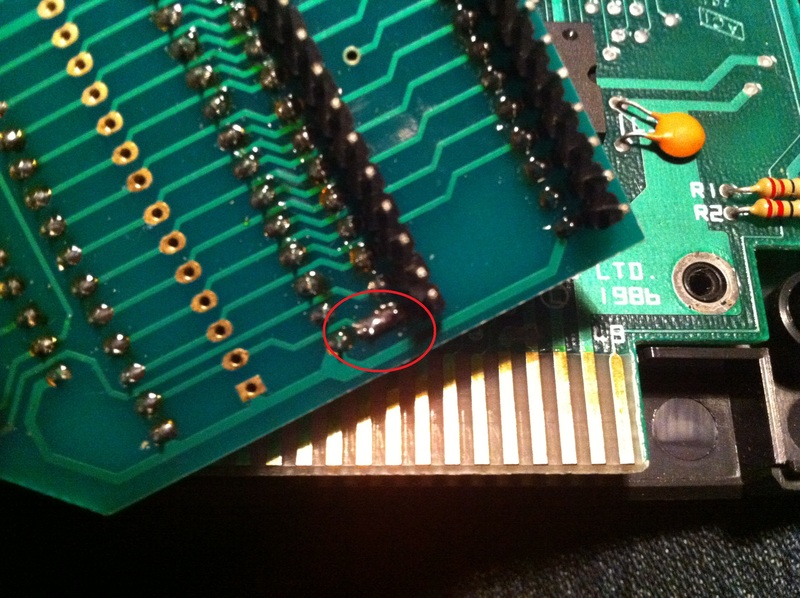 We have tested this new rom with our expander and indeed some modifications needs to be done. Although those modifications are not complicated to do at all. And this is all you have to do! Please note that the new MSX Audio bios from FRS does not include the original Philips software. You need the file msxaudio13.NMS-1205.rom from the MSX Audio Bios v1.3 zip package. Please contact Bas at www.bas-ditta.info if you need help obtaining a new flashed rom. 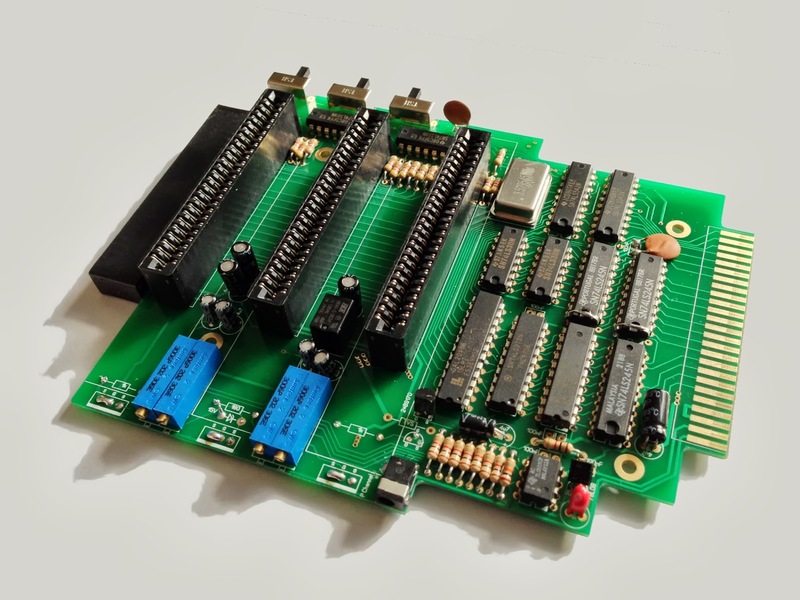 If you own a Music Module and want better support for games and music, please note that we still have a few MSX Audio Upgrade boards left. Korean MSX user Sinfox uploaded a few video’s to youtube. He used a MIDI-PAC, MSX turboR, Roland SC-55 and a Boss MX-10 mixer for the recordings. With the MIDI-PAC out in the open and Tjeerd already busy with making a second batch, we can’t complain. Thank you for your support! For new customers: we’ve made a new Order page were you can select the products you want to order. We will then contact you with the payment details. Also, the PlaySoniq boxes, sponsored by Sunrise are in. If you bought your PlaySoniq without box, please use the order form to get your PlaySoniq box. The box costs nothing, you only pay shipping. Shipping will be around 10 euro for most European countries. If you know other PlaySoniq users in your neighbourhood maybe you can order together to cut down shipping costs. 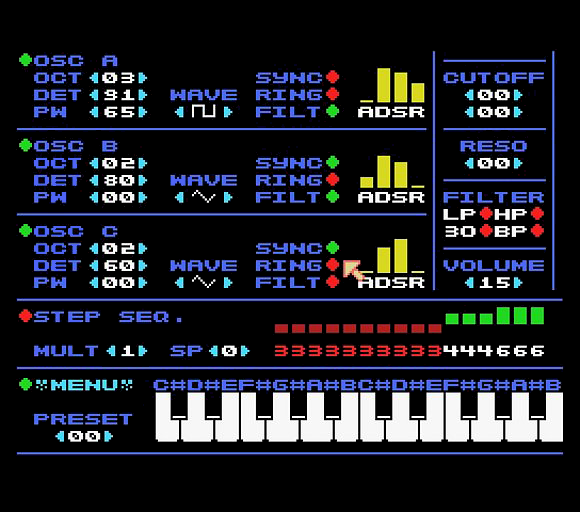 MsxKun informs us that he is busy with a program to control the MSX PSG and the SID on the PlaySoniq through a MIDI keyboard. For this you need a Philips Music Module to connect your MIDI controller. This is of course very exciting news. Because using the PlaySoniq as a MIDI controllable syntheziser is one of the idea’s we had when we were designing the PlaySoniq. 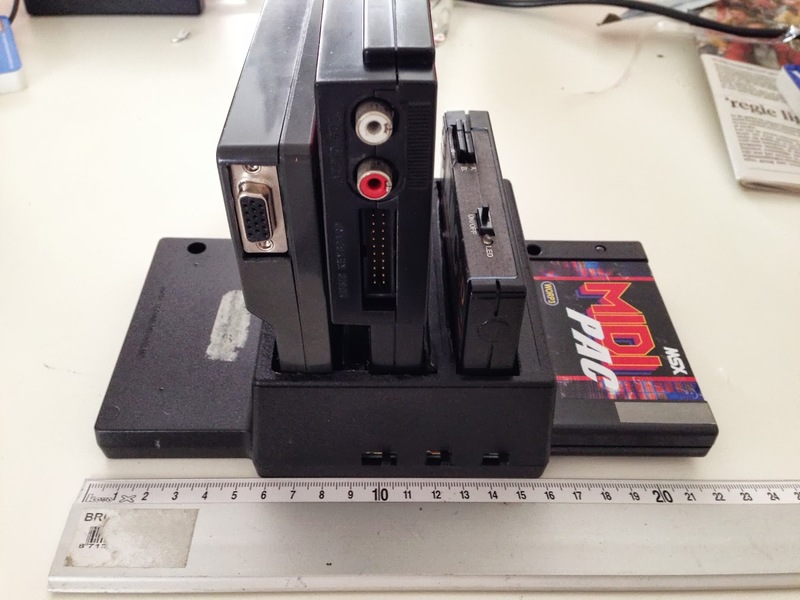 MsxKun also has plans to build in support for the SEGA Audio chip and the SCC of the PlaySoniq. At the moment this project has a low priority but he is willing to put more time in it, if more people are interested. So please let us or him know! Read all about it on his Spanish blog here: PaxBlog. 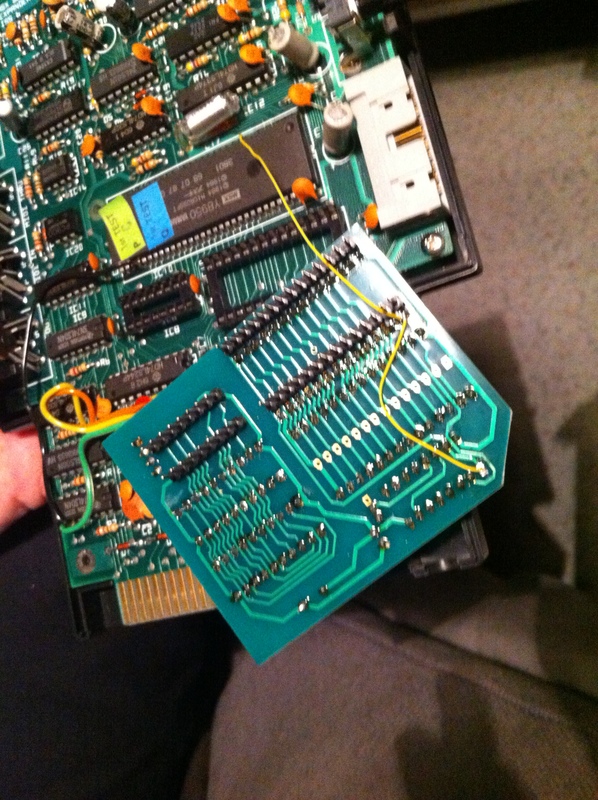 Also new is the instruction manual how to mount the Toshiba HX-MU900 MSX Audio expander. If you have a Toshiba Music Module lying around and want some more functionality, this expander might be for you. But you need to have quite some soldering skills to install this upgrade (or know someone who does). Check it out at the Docs section. This product can also be ordered from the Order page. A while ago we adjusted the Commodore Basic instruction manual (sound chapters) so it would reflect the SID mounted on the PlaySoniq. It also contains the Basic listing, adjusted for use in MSX Basic. You can now download this document from the Docs page, in the PlaySoniq section. If you read the comments on this site, you can find out how to flash your MIDI-PAC with the FM-PAC basic. Please note that afterwards, you can not use the MIDI-PAC together with a FM-PAC anymore (unless you flash the original rom back). The WORP3 website has a new configuration file for MT-32 users. If you made your own configuration file, please consider sharing them so we can add them to the website for other users. This counts for other MIDI equipment or game specific configs (like playing Aleste with only pianos). The MIDI-PAC will also have support for configuring instruments outside the general midi bank on Roland modules soon. So stay tuned.